Exercise is one of the best ways to improve health, achieve and maintain a healthy weight and make positive, long-lasting changes to overall quality of life. However, if left unchecked, exercise could very well be the thing keeping you from achieving your ultimate goals. During intense exercise, several reactions occur that produce the complete opposite results sought from exercise. Muscle damage occurs, energy levels decrease, immune system function deteriorates, cell membranes are damaged and inflammation increases. Left unchecked, these processes will continue until the next bout of exercise begins, wasting more muscle, further decreasing immune system function, damaging DNA and leaving one susceptible to illness, injury and long-term damage. While it sounds like intense exercise would be the very thing to avoid, it’s actually the fastest, most effective way to change your body. The way to make the results matter is with nutritional intervention immediately following exercise. In fact, there’s no other time during the day when nutrition is most crucial than the 30 minutes immediately following exercise. The topic of post-workout nutrition has been well studied in clinical settings, as scientists search for optimal methods to increase muscle tone, decrease fat and prevent damage to immune system function and cell membranes in athletes and active individuals. 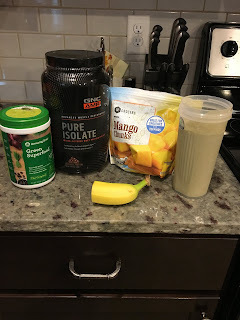 Studies have shown that whey protein and fast-digesting carbohydrates in liquid form is the essential equation in maximizing results following exercise. Generally speaking, fast-digesting carbohydrates should be avoided throughout the day because they cause a spike in insulin, a hormone produced by the pancreas to balance blood sugar levels. A spike in insulin, caused by ingesting fast-digesting carbohydrates, causes the body’s fat cells to store sugar in the form of glycogen, resulting in fat gain. Following exercise, however, it is the muscle cells that become sensitive to insulin. Ingesting fast-digesting carbohydrates during this time, which is a small window lasting up to 45 minutes following exercise, causes the muscle cells to grow, which increases metabolism and promotes a healthy body composition. It’s this response that halts the deteriorating effects of hormones produced during exercise and shifts the body into a proper recovery mode— and the faster the better. But even if you have the right combination, waiting too long to drink the shake can make it ineffective. A study performed at Vanderbilt University documented the importance of the timing of a post-workout meal and found that timing is everything. 1 g protein for every 3 or 4 g carbohydrates. - Whey protein is optimal because it includes all 9 essential amino acids and is fast digesting. Whey isolate is recommended for lactose-intolerant individuals. Vitamins C & E can be added during this time to enhance immune system function, as well as glutamine and leucine (amino acids) to boost protein synthesis and recovery. Fat should be avoided during this time because it slows digestion. Liquid forms are preferred because of their fast-digesting nature. Whole foods can be eaten, but the window of opportunity may be missed due to digestion delay. Animal meats and processed carbohydrates (such as rice cakes, breads, pastas or crackers) can be consumed if whole foods are desired. Bring your shake (or food) to your workout and consume it prior to leaving the facility. 1. Zawadzki, K.M., Yaspelkis, B.B., III and Ivy, J.L., “Carbohydrate-protein complex increases the rate of muscle glycogen storage after exercise,” Journal of Applied Physiology, 72: 1854-1859, 1992. 2. Flakoll, P.J.,. Judy, T., Flinn, K., Carr, C., Flinn, S., “Post exercise protein supplementation improves health and muscle soreness during basic military training in marine recruits.” Journal of Applied Physiology, March 1, 2004 vol. 96 no. 3 951-956. I have read recently that several members are experiencing inconsistent readings with the “Pulse” heart rate monitor during class. Both styles of monitors that OTF offers are very reliable, but both work very differently. Both also have their unique “quirks” that may lead to a temporary loss of reading. Let’s start with how the two work. 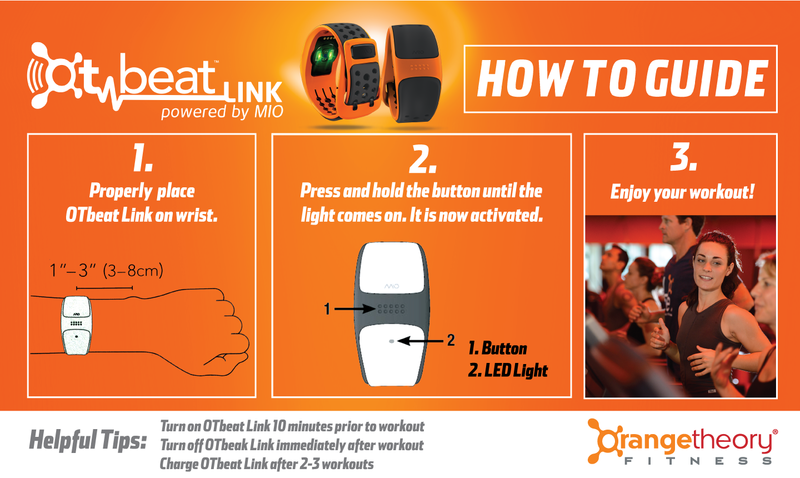 The “Core”- This is the original OTF heart rate monitor. This devise basically works by “listening” to your heart beat. It is worn snuggly across your chest right about at the level of your Xiphoid process. The closer to the heart the better the reading. Also important to note, the “Core” can sometimes take 3 to 5 minutes to read your heart rate and sometimes requires movement/ activity. Loses contact with body when body is “rounded” forward… when on the rower for example. 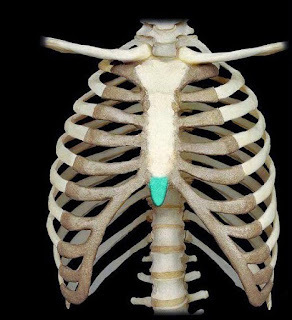 · Shift strap and core slightly to the left (more directly over heart). Let device relocate HR. The “Pulse”- The Pulse utilizes optical sensors to “look” for your heart rate by reading blood flow under the skin. Placement of the Pulse is very important for proper reading. · 3 finger widths from your wrist. - Wear the “Pulse” approximately 2-3 finger widths from your wrist, toward your elbow (the higher the better). Placing “Pulse” here will allow for optimal contact– allowing “Pulses” sensors to better ‘sense’ the volume of blood under the skin and detect your pulse. · Wear the “Pulse” above your ANT+ or BLE watch. - Want to pair your “Pulse” with your favorite ANT+ or BLE watch? No problem! Simply place your “Pulse” above the watch of your choice. Wearing the “Pulse” on the same arm as your watch will allow for optimal communication between devices. · When cycling, wear the “Pulse” with the sensor on the inside of your arm. - Want to track your heart rate with the “Pulse” while cycling? Go for it! Simply turn your “Pulse” around, so that the sensor faces the inside of your forearm. This will allow Mio’s sensor to better “sense” your blood flow while you ride on a trail or road. 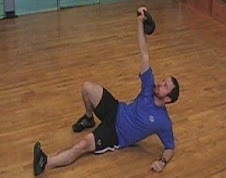 · Turn on your “Pulse” about 10 minutes prior to the start of a workout. This will allow adequate time to detect blood flow. · Band slides down too low on the wrist- When the “Pulse” slides down the wrist, movement of the wrist creates “noise” which causes an inaccurate reading. I recommend wearing a sweat band on your wrist to hold your “Pulse” in proper place. · Tightly gripping dumbbells or the rower handle could reduce blood flow to the wrist, which could lead to a temporary loss of reading. · Members with low blood pressure could experience an inconsistent reading since there could possibly be less blood flow to the arms while exercising. “Pulse” only takes about 45 minutes to charge completely. After the charging light goes off, the “Pulse” should be removed from the charger. The Pulse has a “charge life cycles” of approximately 350 charges. Improve “Pulse” life by only charging when almost completely dead. A complete charge should last 3-4 classes. Do not charge your “Pulse” via your lighter socket in your car. Socket could be too powerful and literally burn the unit… I have seen this happen once! This is a great recipe I received from my friends Byron and Janelle Dyce years ago. 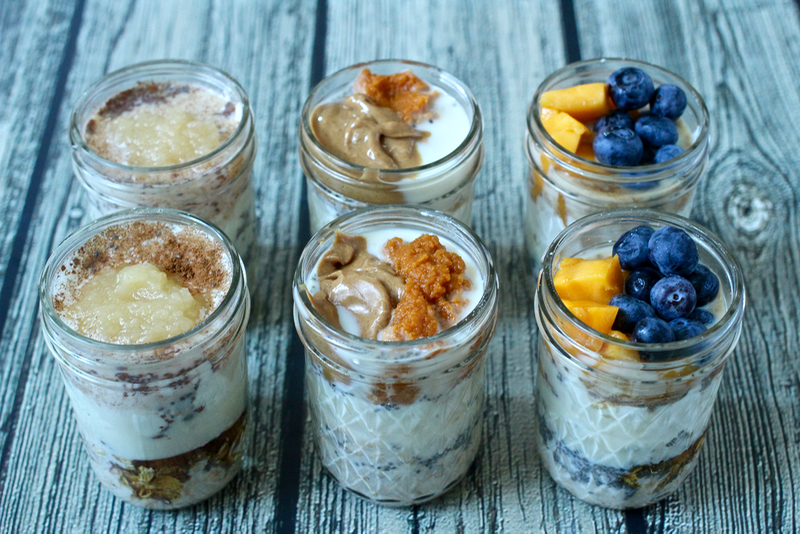 For those of you that need a quick breakfast or snack, potentially on the go. Give this a try... you will love it! 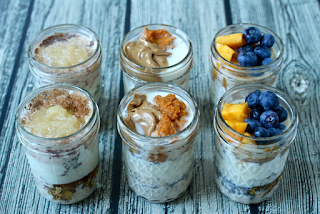 Combine ingredients in mason jar or like container and refrigerate overnight. Great snack! This makes one serving for me, adjust accordingly. All to often in the fitness industry I witness enthusiastic people make a “choice” to become healthy just to quickly become discouraged and stop being healthy, truly before they actually got started. The problem is, when these people make these choices, which are some times even called “resolutions” they try to simultaneously change 4 or 5 things at the same time (exercise, eat better, drink more water, sleep more, stretch). This is like asking somebody that has never juggled balls before to instantly juggle 5 balls at the same time. What happens next… they drop all of the balls at the same time and more times than not, they never juggle again. The trick is, we must create lifestyle habits. One habit at a time. Once we create true habits, they will be a part of our every day activities, just like brushing your teeth and taking a shower. Below I have outlined 7 Habits, based on Stephen Covey’s Seven Habits of Highly Effective People, and 7 steps that will be completed over a 90-day period. Each step must be completed in succession and you must not move on to the next step until the previous step is completed and a habit is formed. Some of the steps will then be continued for the entire 90 days and beyond, and some steps will just be completed once and then you can move to then next step. · Step 1 (Days 1-10 )- Take a multi-vitamin or fish oil everyday for 10 days. Do not move on to step 2 until step one has been accomplished. Continue this step throughout the entire 90 days and beyond. *Whether you take a multivitamin or fish oil is really not that important here. You can choose based on your nutritional deficiencies. What is important is starting simple. Bottom line is, if we cannot perform a simple task for ten straight days we will not be ready to tackle larger more challenging habits. · Step 2 (Day 11- 20)- Drink ½ your body weight in ounces every day for 10 days. Continue this step throughout the entire 90 days and beyond. 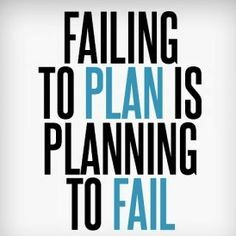 · Once the schedule is set, nothing must take the place of scheduled activities without a cost. o If a workout or scheduled event is missed. $5 must be placed in the “pot”. o Must last a least 30 min. *REWARD Time. After you have successfully completed this step, reward yourself or somebody. Always recognize and reward small successes. Take that money from Step 2 and do something nice for yourself, you have earned it! Or, take that money and donate it to a charitable cause of your choice. · How will these healthy lifestyle changes affect those you love? · Step 5 (Day 54)- Invite a friend or family member to participate in a healthy activity. · Teach them the importance of this activity. · Share the gift of health. · Step 7 (Day 62- 90)- Chose a health/ fitness book and read it. It has been 9 months since my last blog post! I have always said that if I don't have something really good to write about then I am not going to write for the sake of writing. Truth is I have actually done a lot of writing over the past year. I have written 2 articles a month that I put in my by-monthly newsletter. But I felt it would be kind of cheating to just re-post those article here on my blog. What I think I realized was that I didn't have a clear focus of what I wanted this blog to be about. Although I feel the content I posted was good, it was also all over the place from exercise, to nutrition, to my own personal workouts to improving sleep habits. So after a 9 month hiatus from writing on my blog I have decided to go back to my roots and to focus on what I do best. I came into the fitness industry as a Certified Athletic Trainer. I have always had a passion for working with athletes on sports performance, but after being very successful in the fitness industry for over 14 years now I know that my niche is working with injuries. Assessing movement, finding movement dysfunction and correcting movement patterns. So this will be the focus of my blog, the re-defining of me. My Mission is to use my knowledge, experience, leadership, and passion to empower people to live better and grow professionally. This site is dedicated to sharing knowledge on what I do best, post-rehab training for the everyday athlete. In my opinion injuries are rarely an excuse for why people should not exercise. Often times people just don't know what they can or cannot do, or how to modify appropriately. This site will show you how! So stay tuned for great new content in the very near future. Perform Better, the equipment company that we get a lot of the equipment that we use in the personal training studio is having a great End of Summer sale. Many of the items that we use daily is on sale for up to 50% off. If there are pieces of equipment that you would like for your home now might be a good time to buy it.